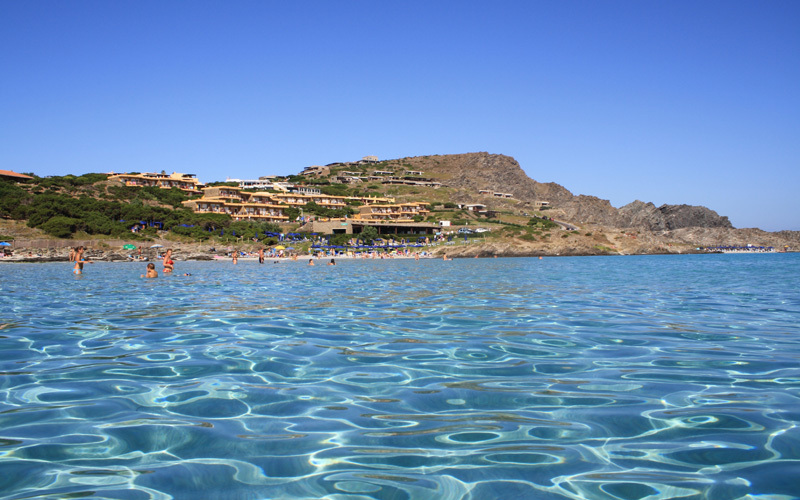 in one of the most beautiful tourist destinations of the Mediterranean. 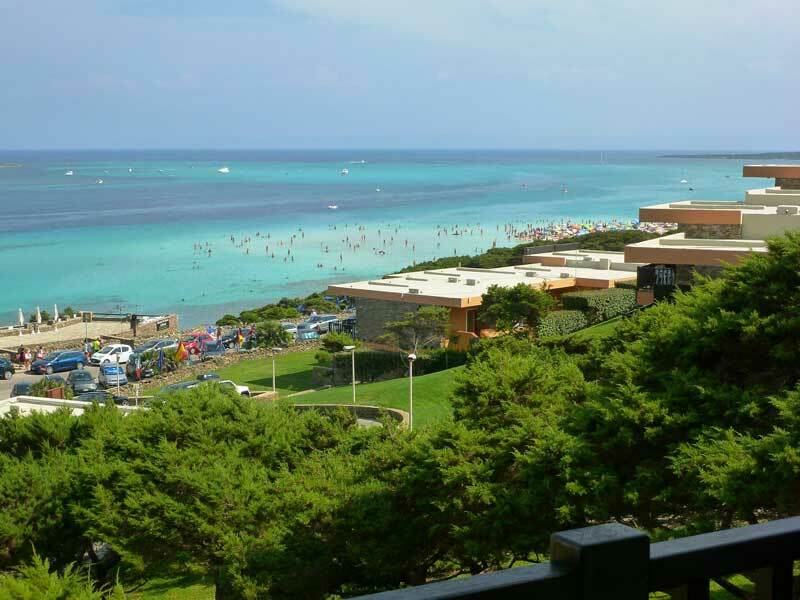 of the La Pelosetta beach. 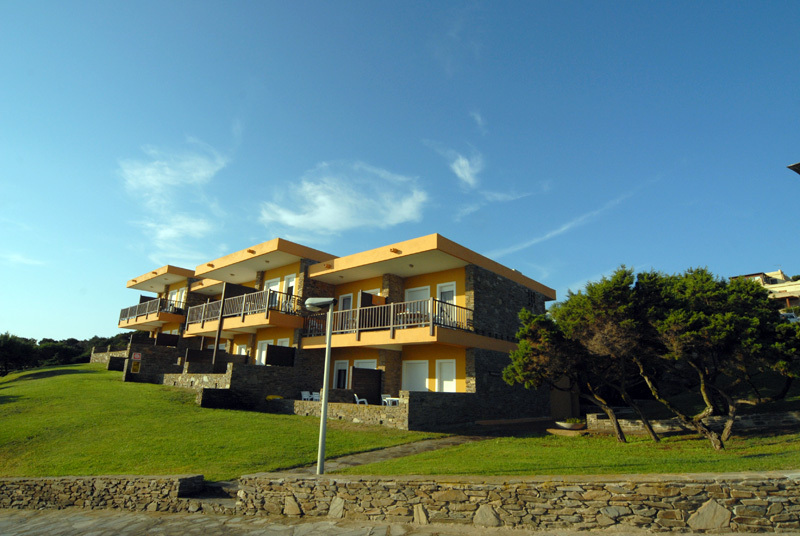 you will find the reception to your right which is open every day from 9 am to 10 pm and where the guests can enjoy most of the services offered by the complex: Internet Point and TV room where guests can relax while reading a book or entertaining the younger members of the family at the games station. 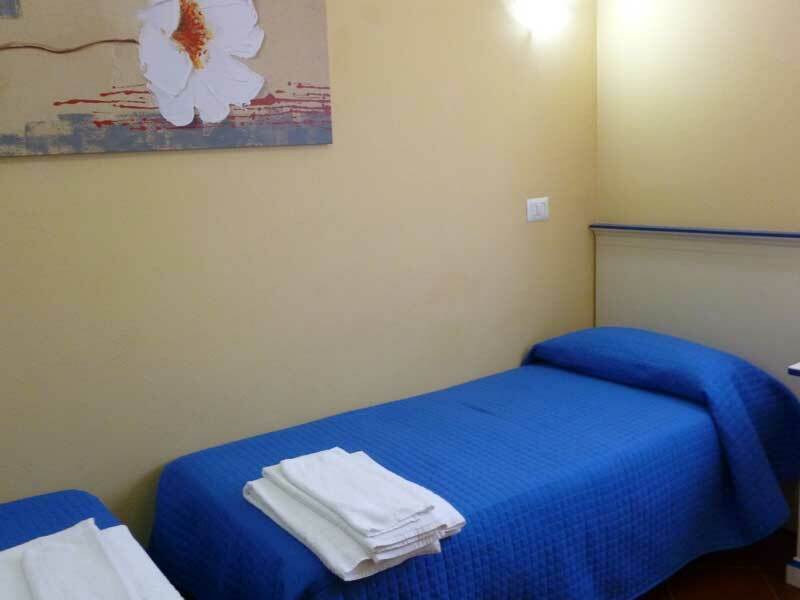 To the left of the entrance you will find the hotel for those guests who wish to have a Hotel based holiday with accommodation in double rooms with a bathroom or family rooms, with a double room and a twin room and one bathroom. 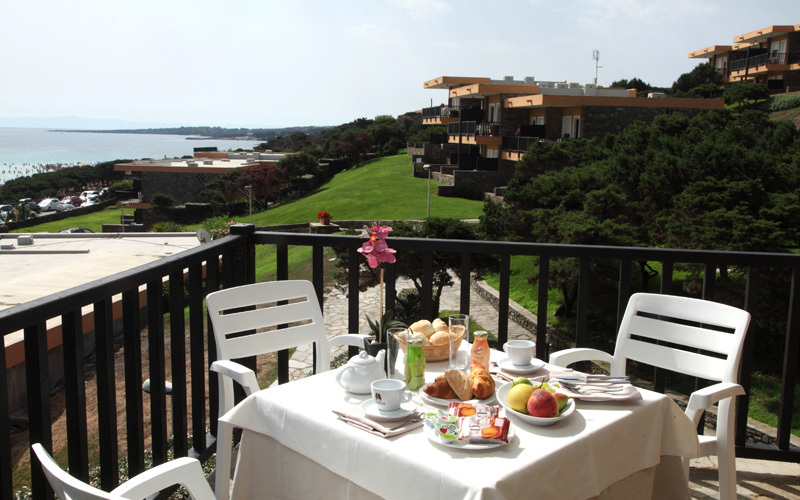 Guests can choose from board only or half board including breakfast and evening meal which is served in the "La Pelosetta" restaurant. 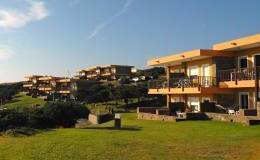 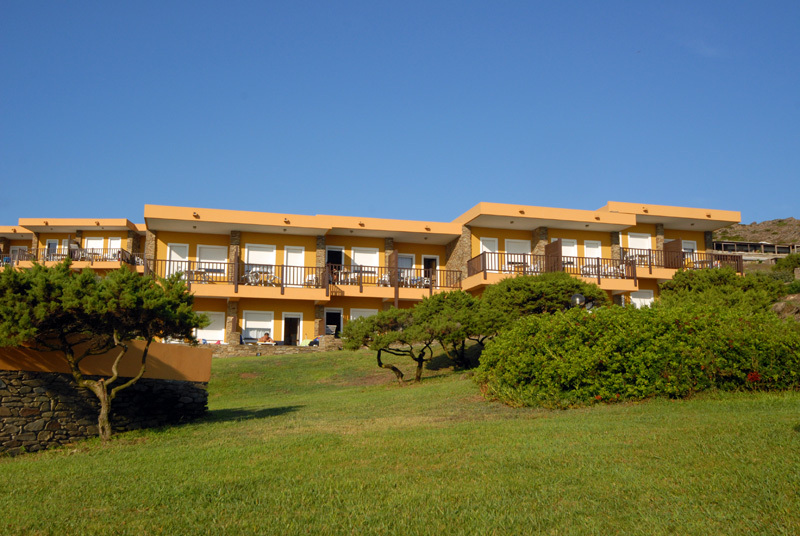 The other 4 buildings are located on the hillside on which the entire structure stands and where you will find the apartments for the residence formula with studios, one bedroom and two bedroom apartments. 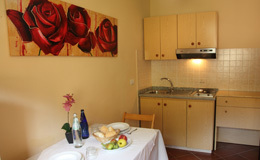 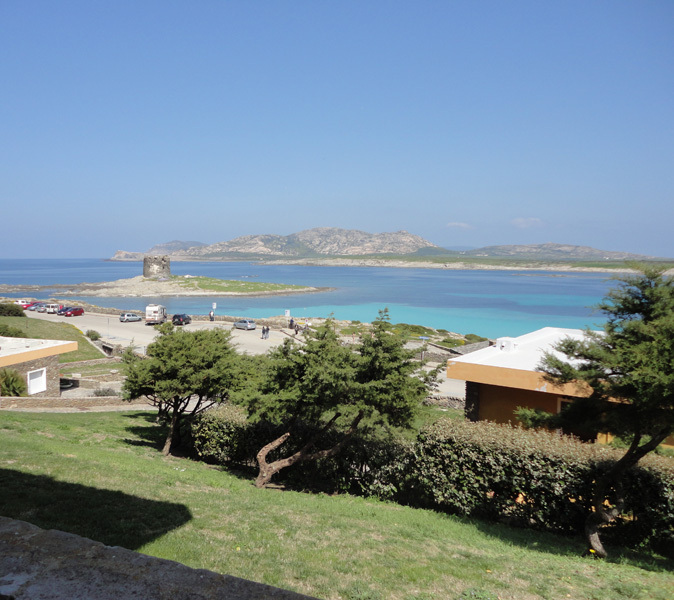 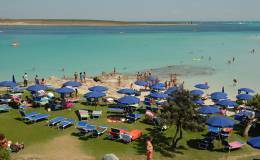 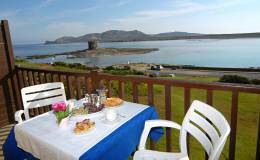 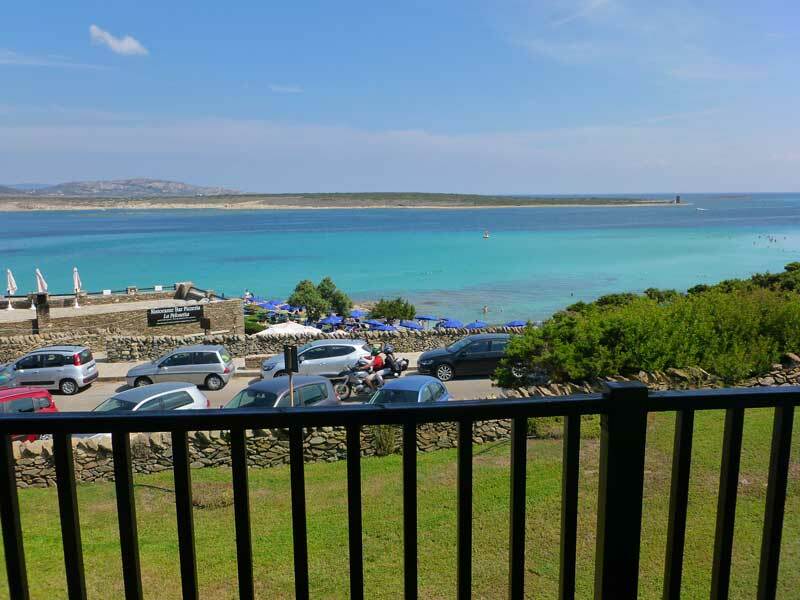 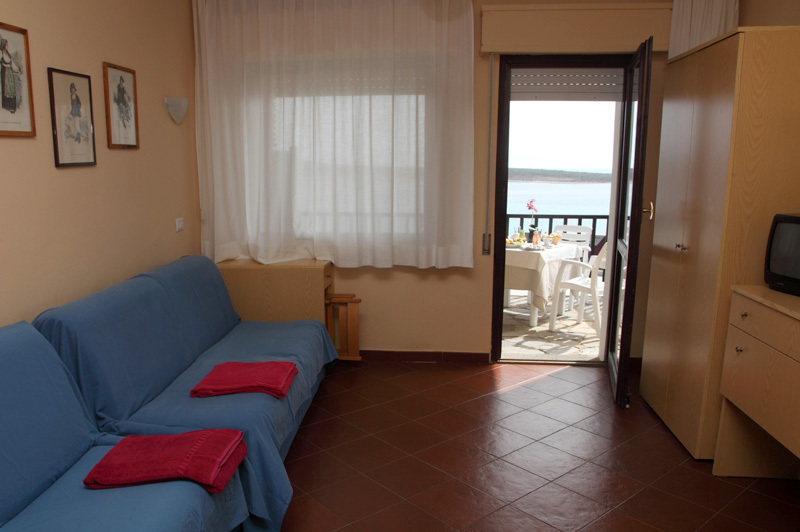 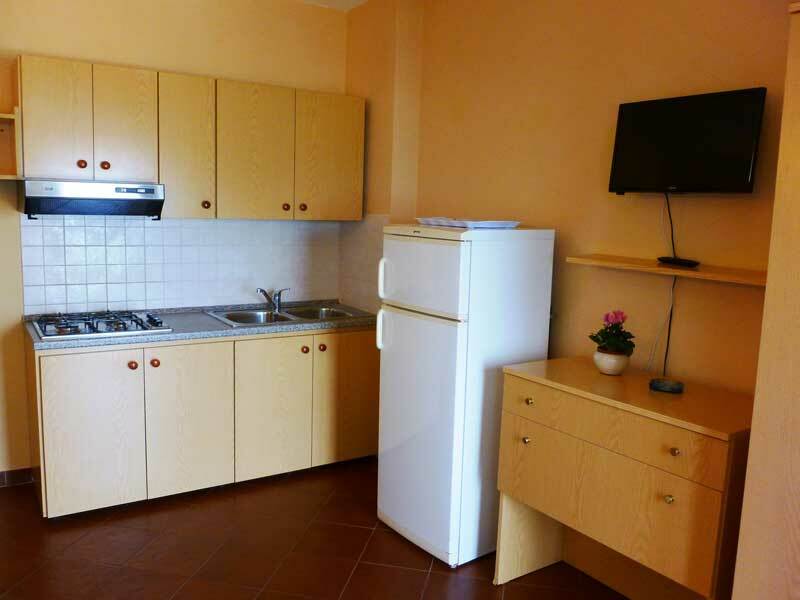 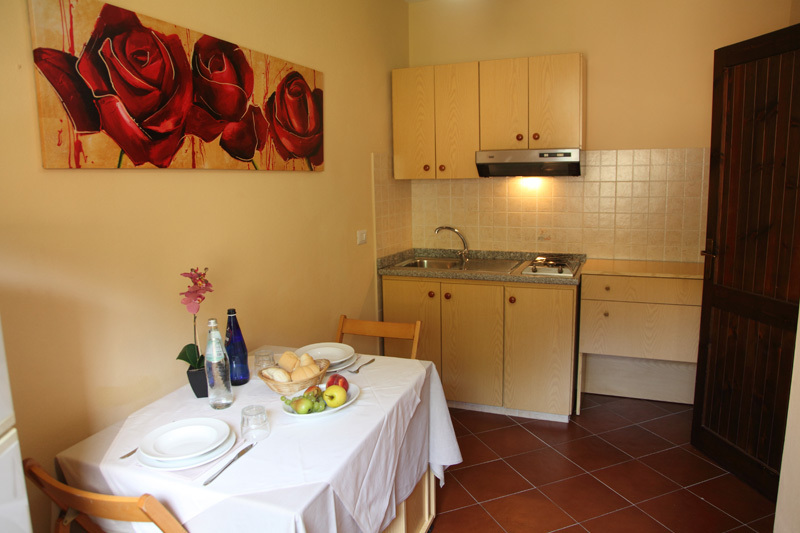 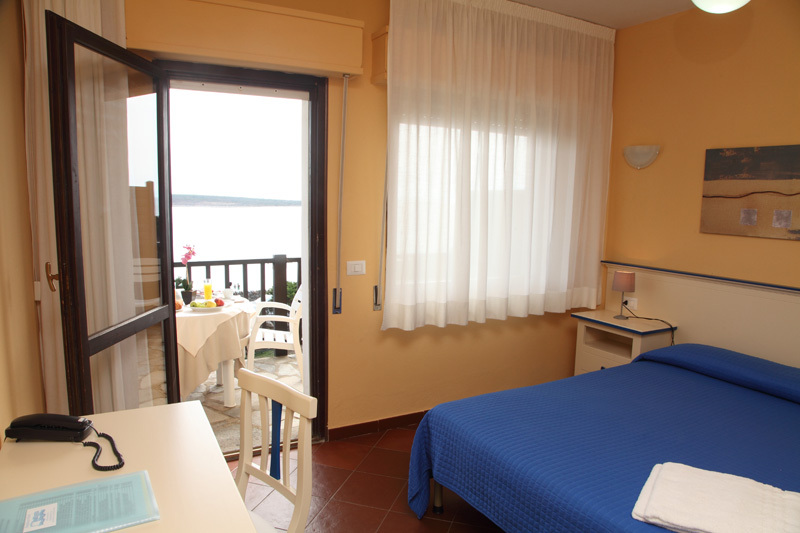 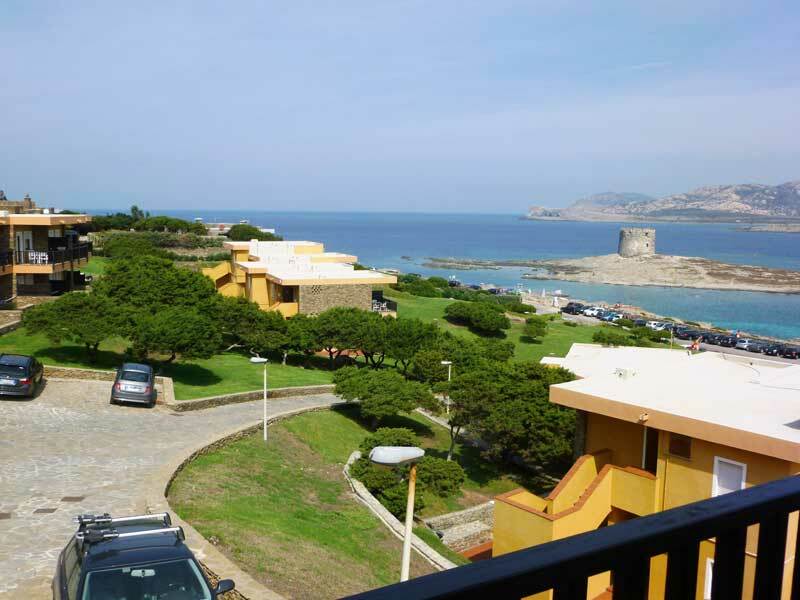 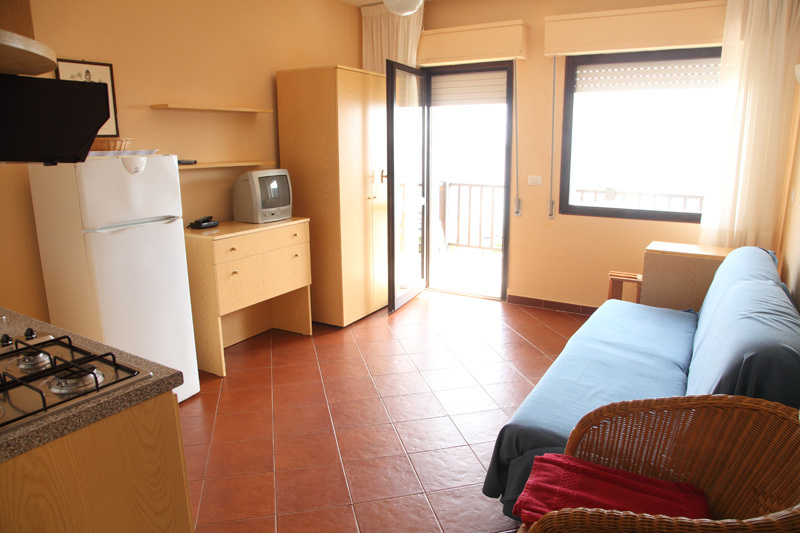 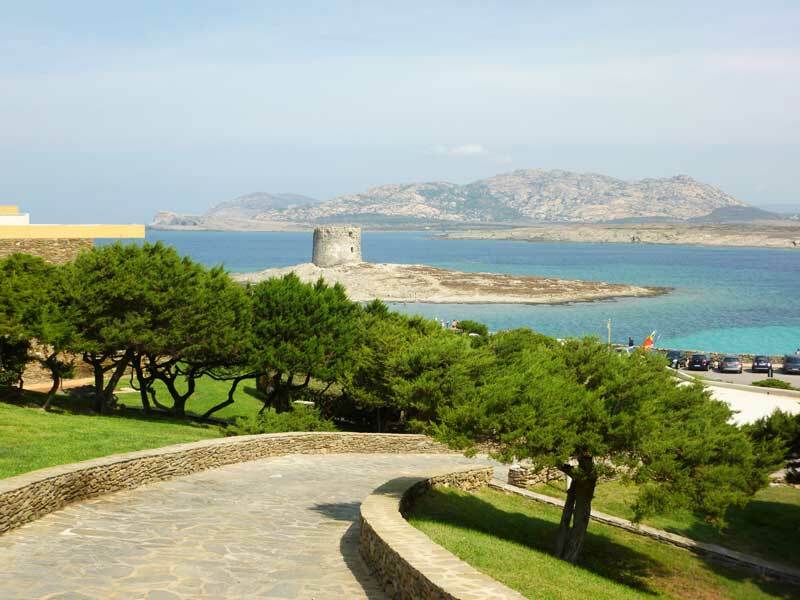 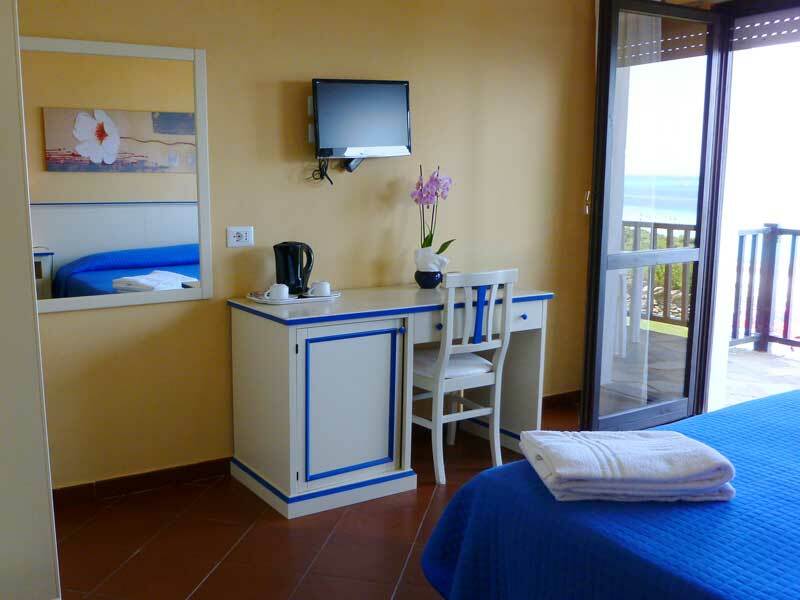 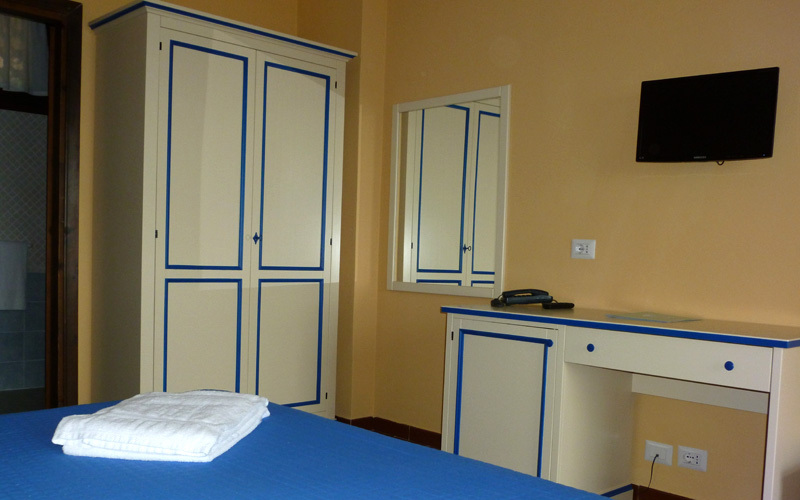 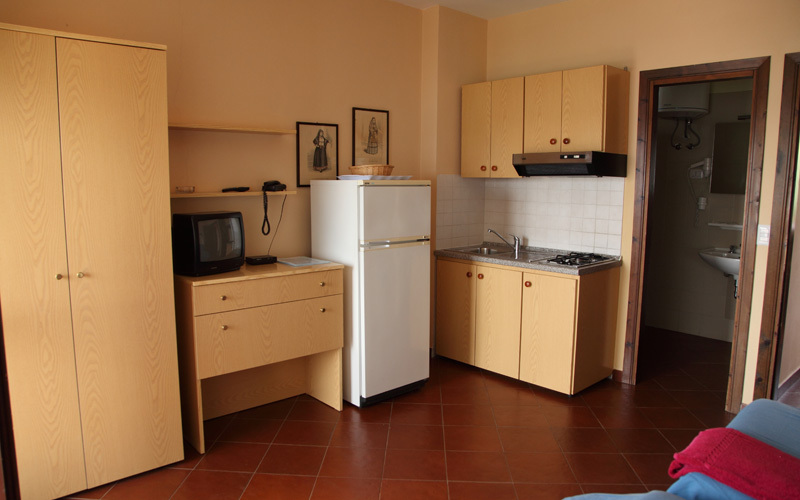 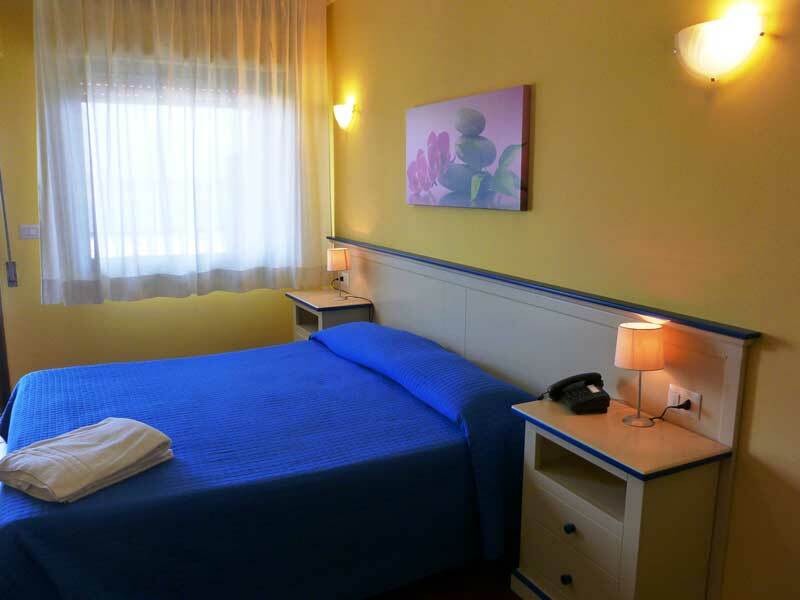 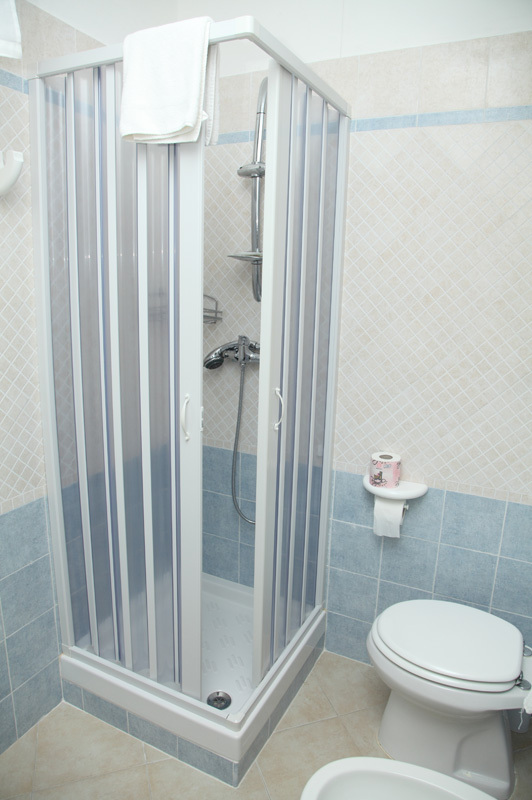 The rooms in the both the Hotel and the Residence are comfortably furnished with a telephone, colour TV, fridge, safe, hair drier, ceiling fan and private bathroom and all have either a patio or a balcony from which to enjoy the wonderful views of Pelosa. 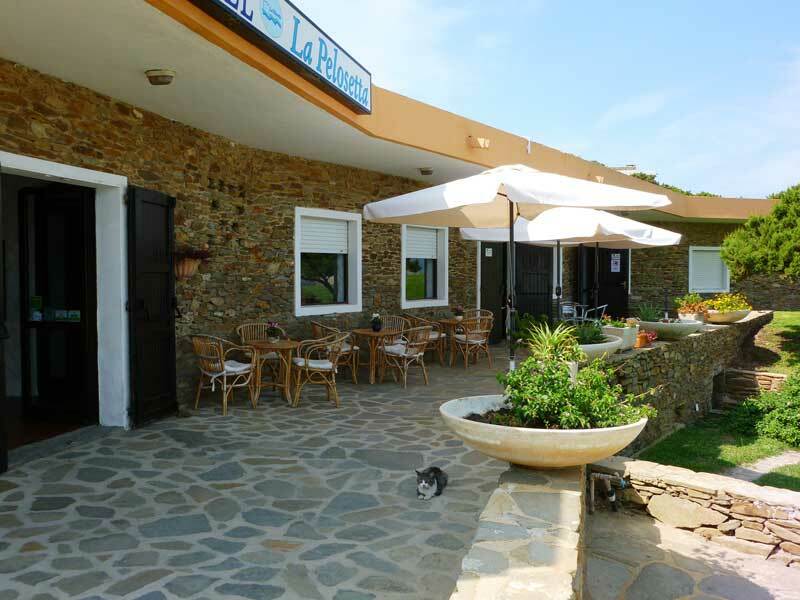 Remember that your four-legged friends are welcome here too - and they stay for free!